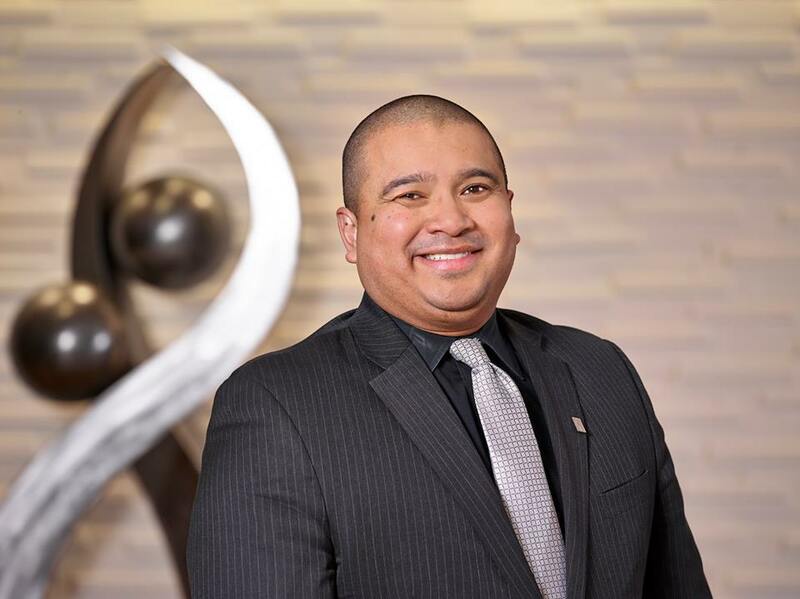 Edmonton, Alberta, March 3, 2016 – Roberto Medrano, Director of Sales at DoubleTree by Hilton™ West Edmonton was awarded both Sales Leader of the Year and Director of Sales/Business Development of the Year for DoubleTree North America, and took home the organization’s 2015 Property Promotion Award. Not only is Medrano one of the top performing leaders across the DoubleTree by Hilton organization, his work has solidified the hotel as one of the top performing locations across the Americas. The Sales Leader of the Year is selected amongst 330 DoubleTree locations across North and South America. Applicants are judged based on year over year revenue per available room (Rev PAR) and guest and staff satisfaction results. Since appointed Director of Sales and Marketing in August, 2014, Medrano has increased the revenue per available room by 20 per cent year over year and received the highest satisfaction results of the entire hotel staff. The DoubleTree by Hilton West Edmonton is the perfect oasis whether you’re travelling for business or pleasure. Centrally located, the hotel is minutes from West Edmonton Mall, home to great shopping, entertainment and dining. Within the hotel’s 38,000 sq. ft. of flexible meeting space, you will find the state-of-the-art SilverBirch Conference Centre®, offering seven meeting rooms serving both small and large meetings and the Connections Café®, providing unlimited all day access to FREE wireless internet and a selection of inspiring morning and afternoon refreshments featuring espresso machines, an incredible assortment of homemade, small indulgences, and healthy treats – all at no extra cost. Additional banquet space is available in the hotel where you can select from one of two grand ballrooms or choose one of 15 meeting rooms. Dine at Stages Kitchen & Bar or discover a unique experience at the Mayfield Dinner Theater – combining Las Vegas style entertainment with an extensive buffet.